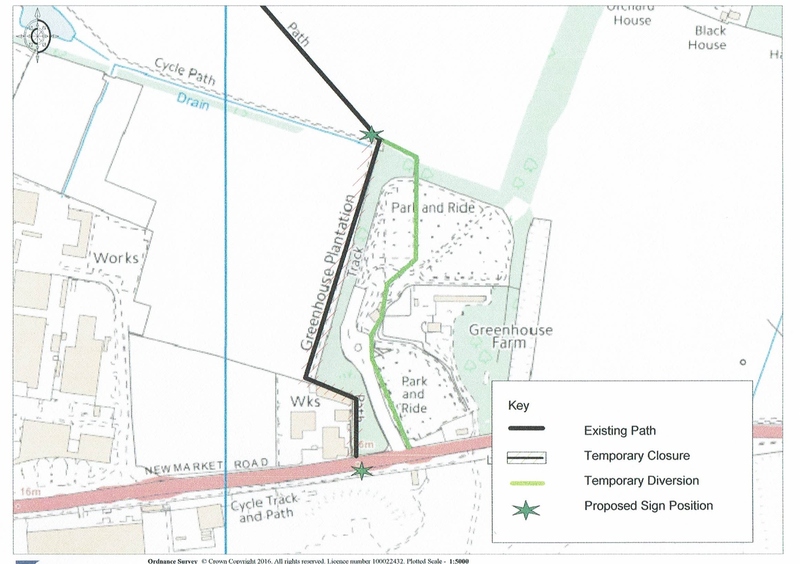 The Parish Council has been notified that Marshalls is applying for a temporary diversion of Fen Ditton footpath no. 9, to Newmarket Road, for three months from 6th June to 6th September. This is to facilitate the demolition of the former Peugeot Dealership and workshops. The routes of the existing path and the diversion are shown on the map below.